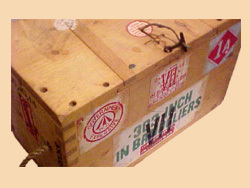 WW1 Reenactments Equipment : Great War Tommy WW1 Reenactors Equipment : Set of labels for timber .303 Ammunition Crate. WW1 Reproductions and WW1 Reenactors Equipment / Kit - Set of labels for timber .303 Ammunition Crate. Set of labels for timber .303 Ammunition Crate.